SpineWorks is a modern clinic located in the heart of Kennington with a team of chiropractor and sports therapists dedicated to help you to achieve your health goals and reach optimal health naturally. Formerly known as Kennington Chiropractic, our clinic is situated opposite Kennington park and just a few minutes walk away from both the Oval and Kennington tube stations. At our clinic you will receive the best care through the use of modern chiropractic techniques and technology. At SpineWorks Chiropractic we have a genuine concern for your well-being and health. The staff at SpineWorks Chiropractic is committed to providing quality healthcare, to not only achieve pain relief, but to solve the underlying cause of complaint so that you can achieve a higher quality of life. If you are new to our website, please browse around to learn about our practice and to discover the wonders of chiropractic care. SpineWorks is among only a handful of chiropractic clinics in London offering the most cutting edge technology in spinal correction called Chiropractic BioPhysics (CBP). We believe in correcting the source of your pain so to provide a more permanent solution. “The Doctor of the future will give no medicine but will interest his patients in the care of the human frame, in diet and in the cause and prevention of disease. I have “suffered” with scoliosis for 8 years. My pain has disappeared and I am such a strong, more agile dancer. I have nothing but gratitude for Dr Luc and his team. I recommend anyone who believes they will always suffer with back pain to let them help. Since having regular chiropractic adjustments with Dr Luc, my condition has definitely improved. As a result of chiropractic treatment I also feel more relaxed and less compressed in my posture, spine and neck. As one of only Chiropractic BioPhysics certified clinics in London, our approach involves the correction and rehabilitation of your spine. By rolling back the damaging effects of time, poor posture habits, or injuries, we are able to realign the spine to its optimum shape and eliminate nerve interference – the main source of back or neck pain, fatigue, and disease. Not all chiropractors are alike. Most will give you some good relief for back pain or neck pain by adjusting your spine. However, they sometimes fail to address the root cause of the misalignment. It’s like forcing a leaning tree back to 90 degrees, and watching it slowly bend downward again. You can do that for the rest of the tree’s life, but the problem will still persist. 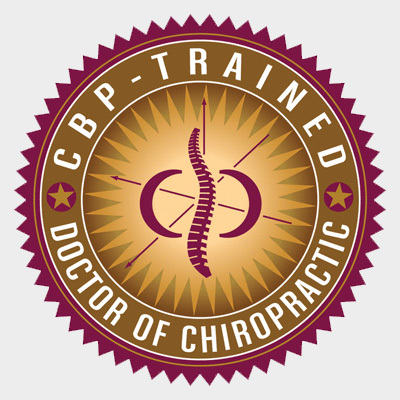 On the other hand, CBP doctors aim to not only put an end to your pain, but they do so by reshaping / rehabilitating the spine back to its “normal” curvature. This ensures that structurally the spine is strong and back in alignment, while taking pressure off the delicate nerves that run energy to your vital organs. Let’s help you live life without pain and discomfort.